It was on the summit of a massive spur of rock dominating the town of Varallo in the province of Vercelli, Piedmont, that the Franciscan monk Bernardino Caimi chose to build the first of Italy's "Sacred Mountains" in 1491. Just as St Francis created the first living Nativity scene in Greccio in 1223, with the aim of involving the local people in the celebrations of the Birth of Jesus, Caimi carved all the most salient moments of the New Testament in stone, for those Christians who would never be able to make the pilgrimage to Palestine. Varallo's "Monte Sacro" is the oldest of Italy's sacred mountains, the majority of which are situated in the North of the country, in the regions of Piedmont and Lombardy. 44 chapels, 800 life size statues in painted terracotta and wood, 4000 frescoed figures: these are the protagonists of what has been described as the "great mountain theater", a sort of gigantic nativity scene which, in addition to the birth, goes on to recount the life, death and resurrection of Christ. Sacro Monte can be reached on foot, via a steep pathway which commences in the center of the town of Varallo and, for the faithful, represents a symbolic walk towards the Calvary of Christ. Alternatively, visitors can travel by car along the road which starts in the district of Crosa di Varallo, or take the funicular railway, which is one of the most vertical in the whole of Europe. The tour of the chapels is divided into two sections, the first of which leads visitors through the woods to chapel no.19, dedicated to Adam and Eve and where the arrival of Jesus in Jerusalem is depicted. The second stage of the tour takes place on the summit of Sacro Monte, where an ancient city has been created, complete with squares, town houses and porticoes. From here visitors access the "Porta Aurea" and the chapels in which scenes from the Life of Christ in Jerusalem, including the Last Supper and the Resurrection, are depicted. In the center of this Religious Theater among the mountains, the Basilica dell'Assunta represents the spiritual climax of every pilgrimage. 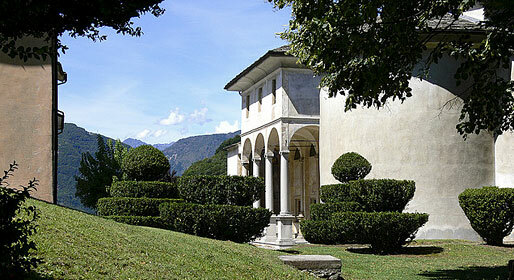 Sacro Monte is opened at any time and no entrance tickets are required. 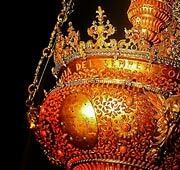 The Basilica observes the following opening hours: from 8 to 12,20 and from 14,15 to 17,30.